A leading Hull lawyer is predicting a commercial property boost from City of Culture status despite the possible uncertainty over Brexit. Jonathan Holmes, new head of commercial property at Williamsons Solicitors, expects that the greater profile resulting from 2017 will bring about significant opportunities for inward investment. "With 2017 on the horizon, there's a lot of development work going on and increased interest in the city," he said. "City of Culture will really put Hull on the map, which can only boost business. It is highly likely that more will start to invest, buying or renting office and commercial space. There's also a lot of land available for property development. “It has given Hull a distinct advantage over other parts of the country when it may be needed most,” he added. 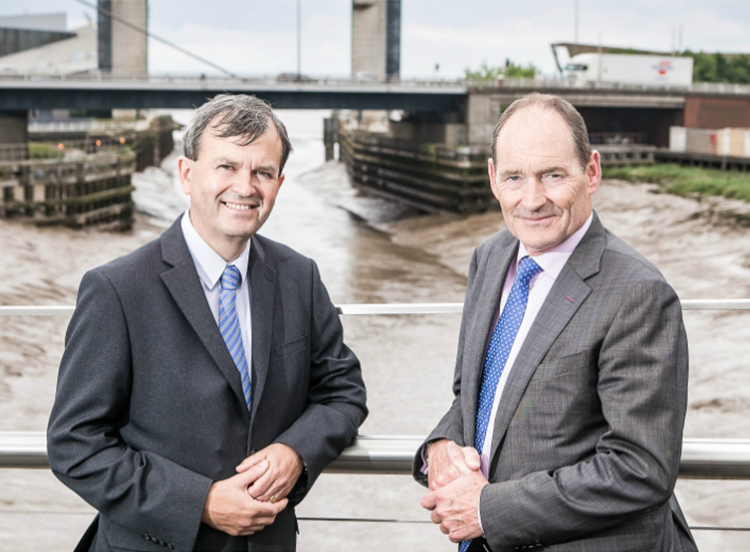 Mr Holmes, who comes from Hull and was educated at Hymers College and the University of Hull, began his career in the city before moving elsewhere to gain expertise and experience in commercial property. He said that the property buzz around the city reminds him of his time in South Yorkshire where he acted on a number of regeneration schemes. "Former collieries were being redeveloped as factories, creating inward investment," he said. "It's like advertising. The more people mention a place, the greater the potential for investment." He added: "It was always my intention to return to Hull at some point. I've got a really great team behind me at Williamsons and I'm really looking forward to City of Culture. It was one of the things that convinced me to come back now." Mr Holmes and his wife, a primary school teacher, live with their youngest son. In his spare time, he enjoys taking part in World War II 'living history' events and scuba diving. Williamsons Solicitors director Bill Waddington said: "I'm very pleased to welcome Jonathan as our new head of commercial property. Nurturing our clients to help them become the successful businesses of tomorrow is an approach that has earned the department a reputation for excellent service. "As well as bringing a wealth of expertise and experience, Jonathan has some great ideas for helping our clients to make the most of all the opportunities available to them, particularly those offered by City of Culture." Williamsons Solicitors has offices in Hull, Beverley, Driffield and Bridlington employing 138 people. It has just celebrated its 125th year in business.